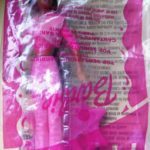 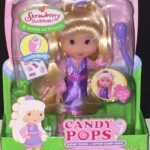 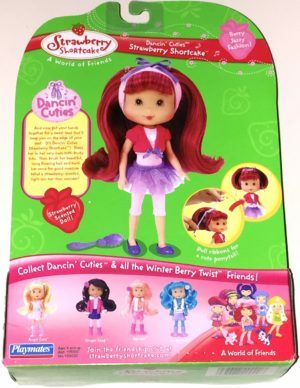 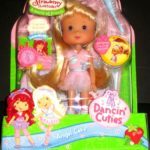 Strawberry Shortcake Dancin Cuties doll and accessories. Dancin Cuties Strawberry Shortcake doll checks in wearing a pink and purple outfit as well as soft purple shoes. 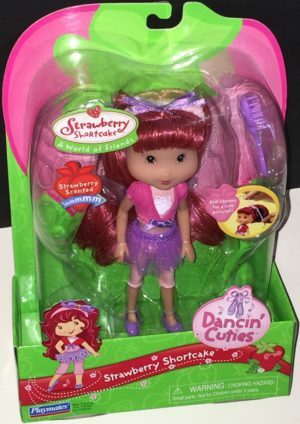 Her outfit consists of a soft pink top and leotards covered with a bright pink top and purple skirt. 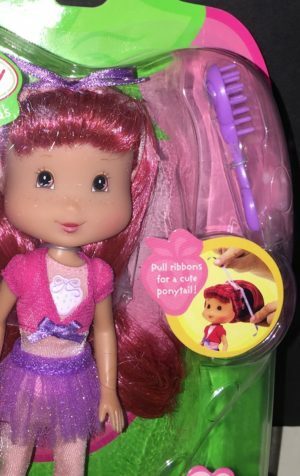 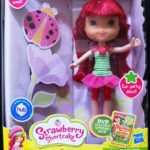 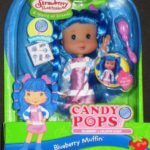 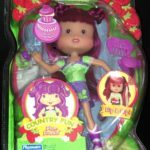 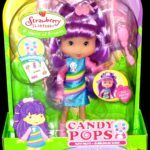 Strawberry Shortcake has long strawberry red hair and comes with a purple brush to keep each strand in pristine condition. 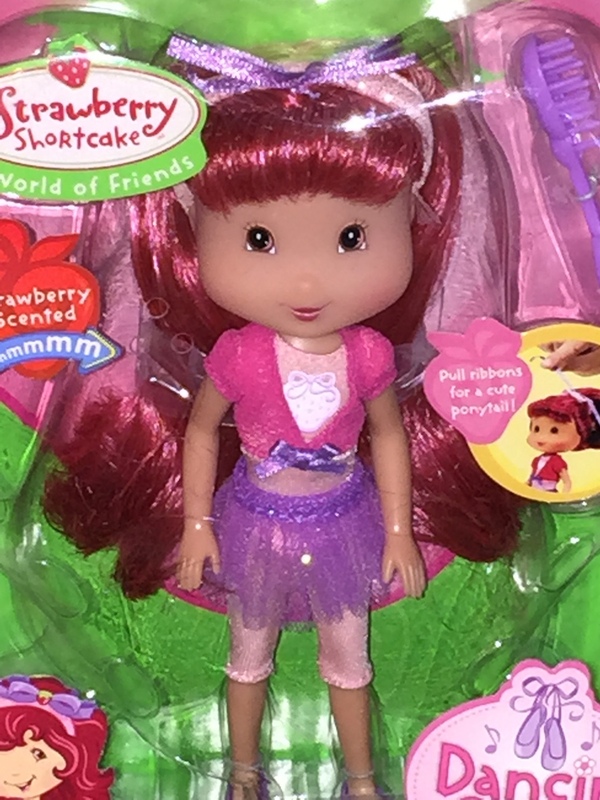 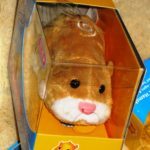 Strawberry Shortcake is from the Playmates A World of Friends collection. 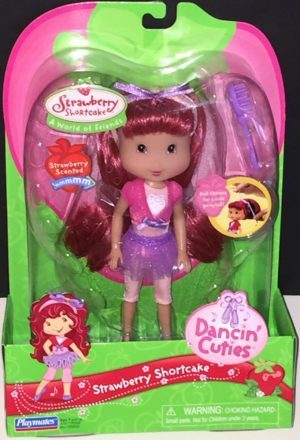 Her sweet scent smells like delicious strawberries. 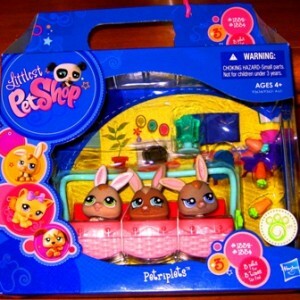 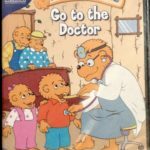 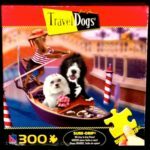 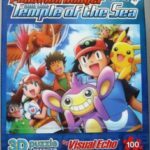 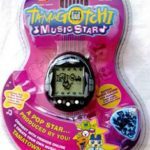 Recommended for ages 4 years and over.